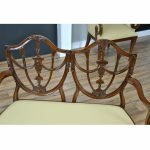 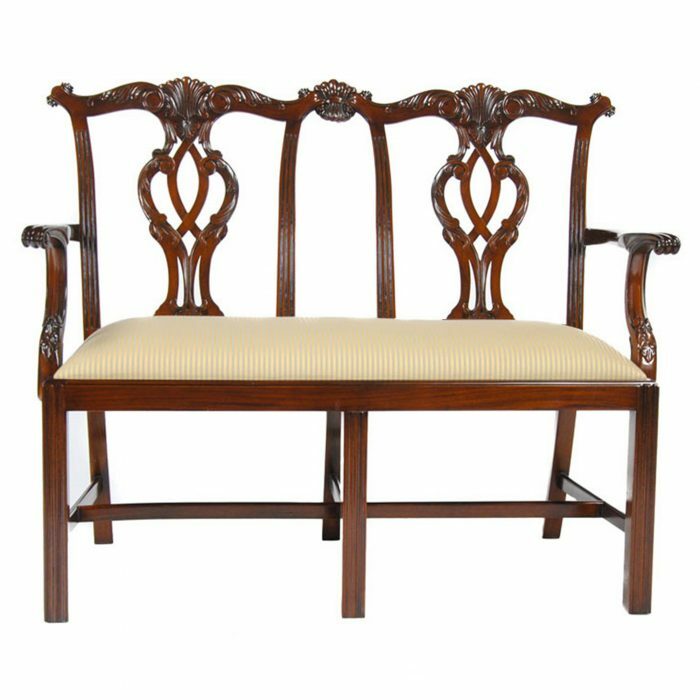 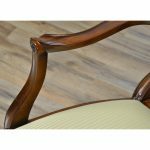 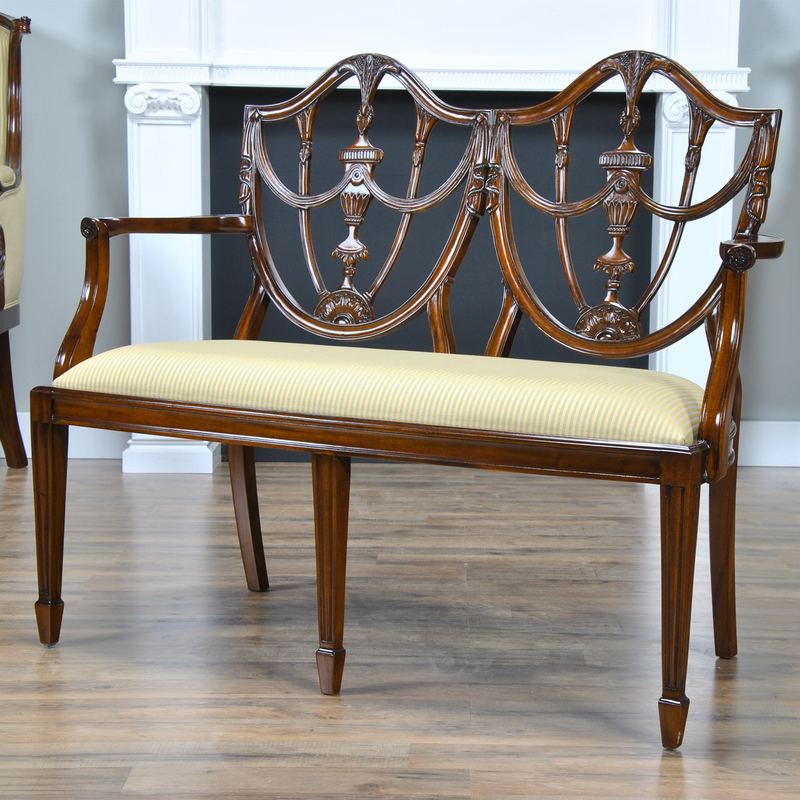 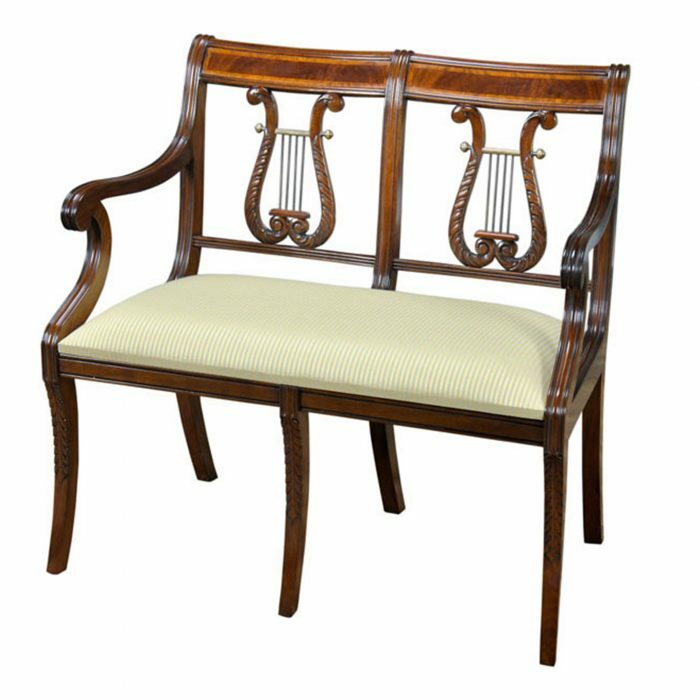 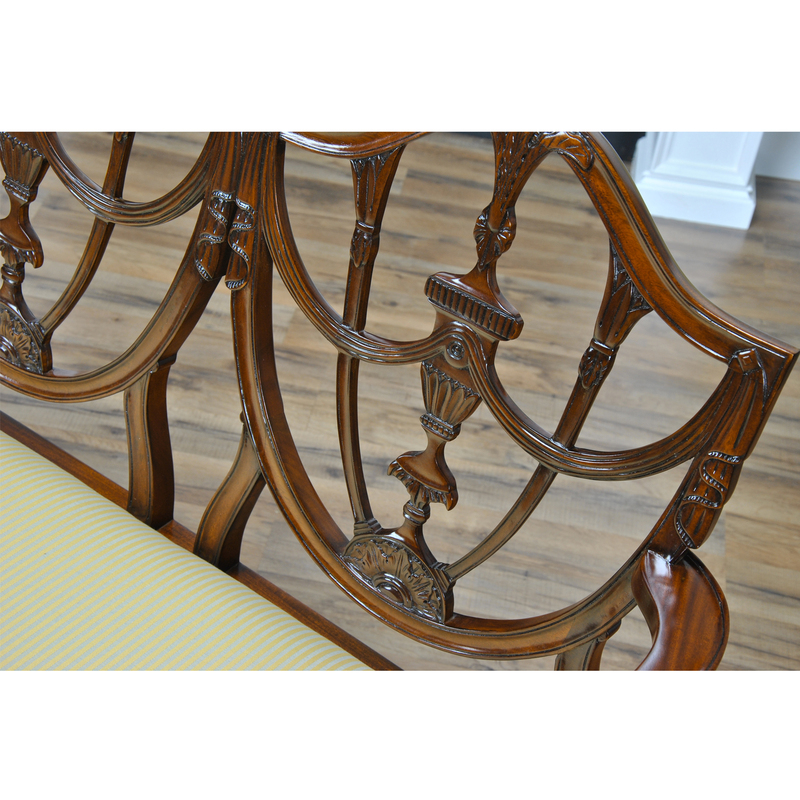 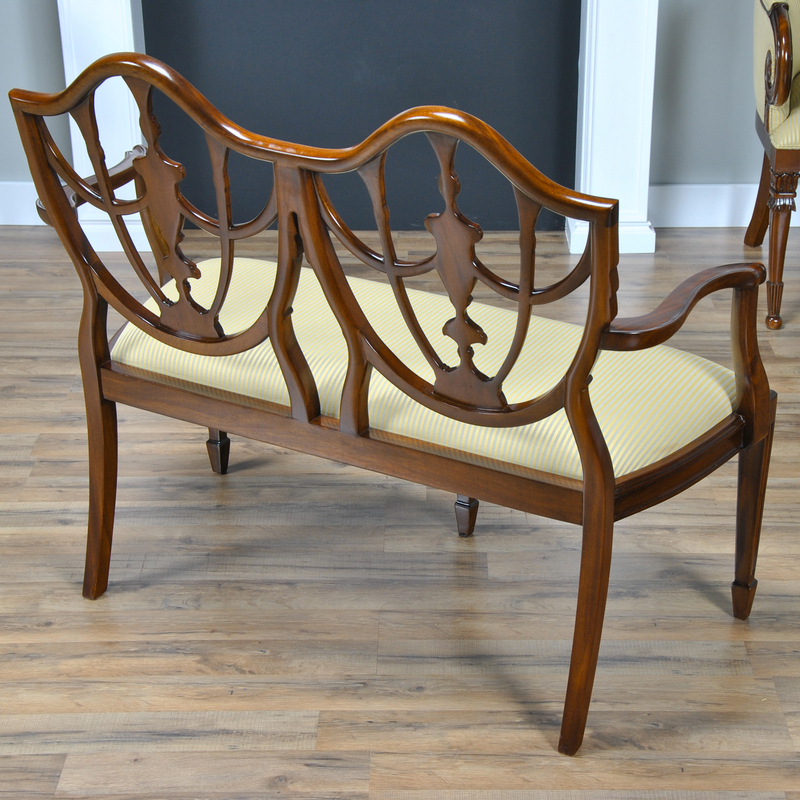 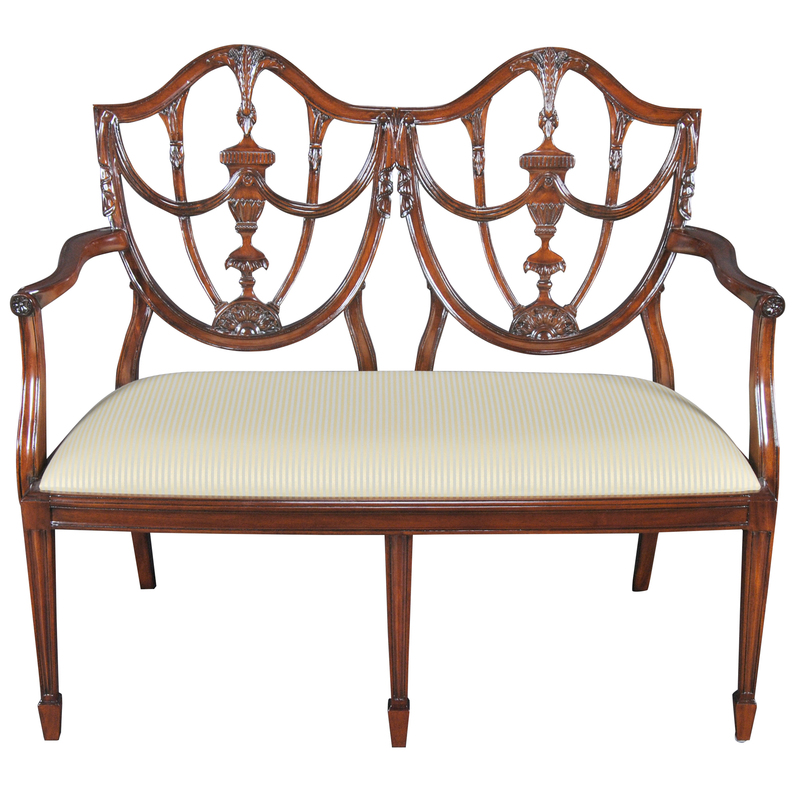 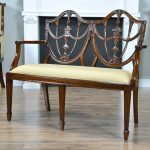 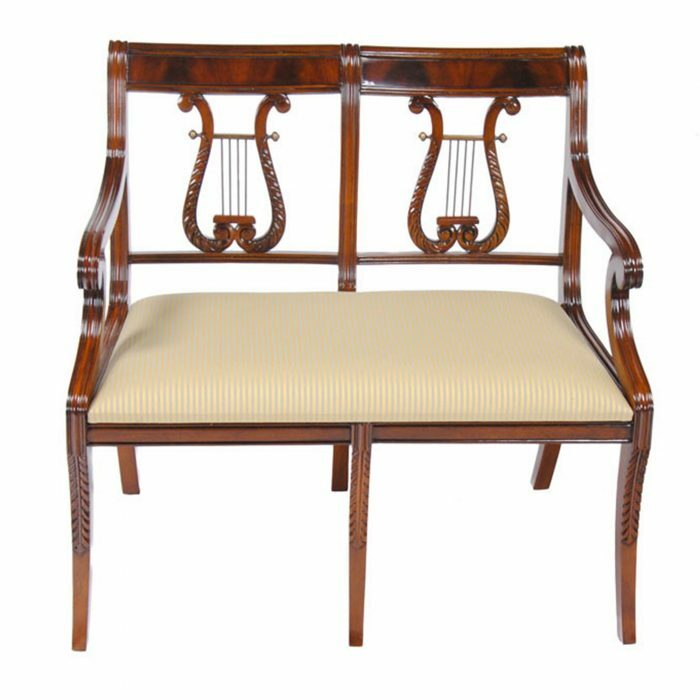 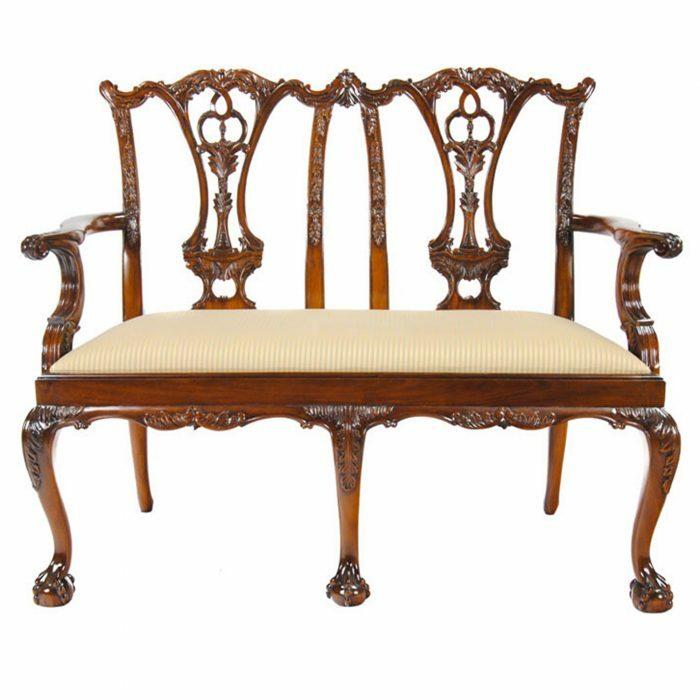 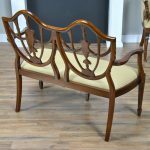 This Shield Back Two Seat Chair from Niagara Furniture features solid mahogany construction, a serpentine crest rail which connects to the hand carved back splat that terminates in a petal carved lunette, all of which work together to provide back support when seated. The arms are shaped and curved and end in a deep rosette carving. 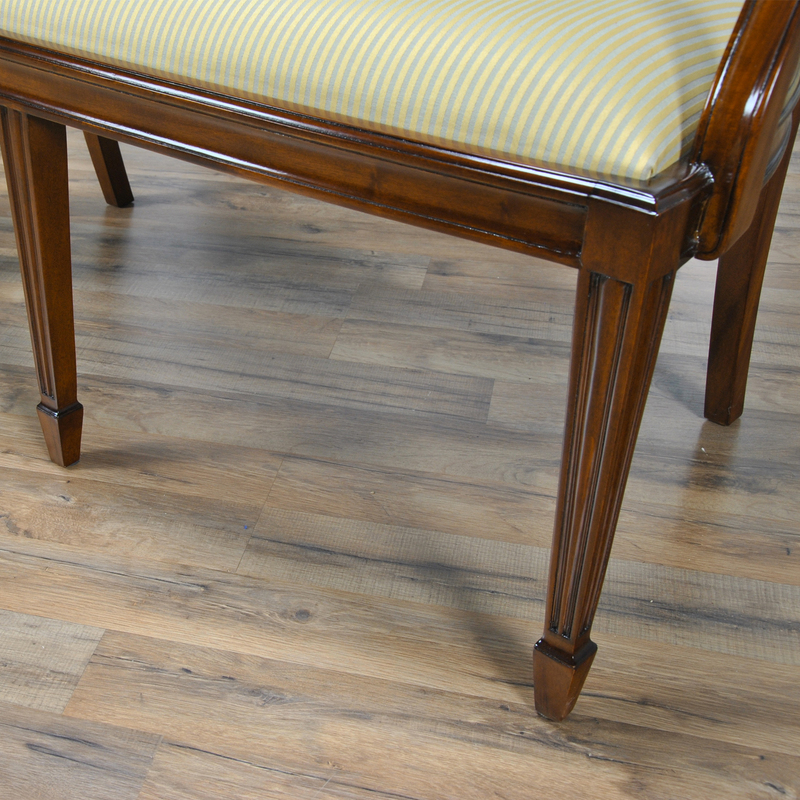 Hepplewhite style tapered and reeded front legs and shaped rear legs are beautiful while a drop in seat cushion held in place by four screws provides for easy fabric changes to help make the Shield Back Two Seat Chair at home in your home.